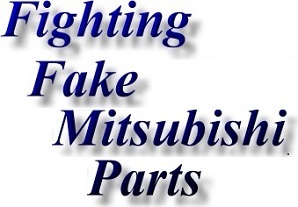 Fake Mitsubishi car parts and Mitsubishi car spares forgery copyright support. The sales of Counterfeit Mitsubishi Parts and Mitsubishi copyright material on internet auction sites is widespread. 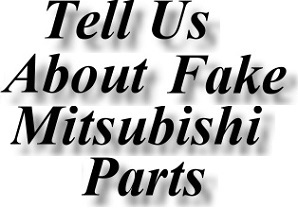 Fake items include many copies of Mitsubishi Car Parts and re-engineered or copied Mitsubishi products (Counterfeit Mitsubishi Car Spares, Fake Mitsubishi Accessories etc). Copies of Mitsubishi software such as Mitsubishi Workshop manuals, Mitsubishi Satellite Navigation system maps and updates, Mitsubishi Engine diagnostics and Mitsubishi re-mapping software etc is currently available. 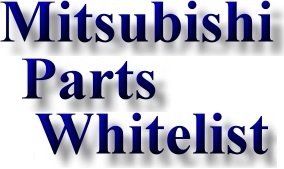 Much of this material also uses Mitsubishi copyright images (such as the "Mitsubishi Logo") and any sales from an un-authorised party can obviously directly affect the Mitsubishi supply and maintenance chain (including Mitsubishi Dealerships), whilst possibly financing criminal or terrorist activity. Additionally; some copied disks labeled as "Mitsubishi" contains viruses, malware and - or computer hijacking software, whilst the failure of some bootleg mechanical components (such as brake components) can be potentially life threatening. Many Counterfeit Mitsubishi Car Parts are manufactured in the Far East (Particularly India, Taiwan and China). China is the main source of many Fake Mitsubishi Car Parts such as Fake Mitsubishi Alloy Wheels, Fake Mitsubishi Body Kits, Fake Mitsubishi Spoilers etc. In most cases these goods are sub-standard. Eg; Fake Mitsubishi Car Parts may not fit correctly, the foam within Fake Mitsubishi Spoilers and Fake Mitsubishi Body Kits can expand in hot weather - thus causing blistering and cracking - ruining the look of the car. Surely; knowingly fitting Counterfeit Mitsubishi Spares to a genuine Mitsubishi car borders on stupidity. But knowingly supplying fakes is a crime. However; using Counterfeit Mitsubishi Parts can be both a false economy and fatal. Components such as Fake Mitsubishi Alloy Wheels can be prone to cracking and vital components such as Counterfeit Mitsubishi Brake Calipers, Counterfeit Mitsubishi Brake Pads are often made from sub standard components which simply fail under pressure. For some time now, UK Anti Piracy has monitored and taken action on behalf of Multiple interested parties. 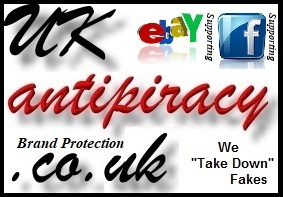 We continue to develop and expand this relationship and we can work with Mitsubishi, UK Trading Standards and online services to significantly reduce - hopefully eradicate the supply of Counterfeit Mitsubishi products, Fake Mitsubishi Parts and pirated Mitsubishi software. 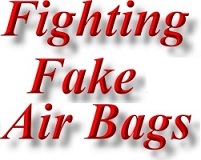 FAKE MITSUBISHI AIRBAGS KILL ! Mitsubishi airbags should only ever be purchased from an authorised Mitsubishi dealer or agent. Under no circumstances should Mitsubishi airbags be bought online (except from an authorised supplier) and under no circumstances should a used, "reconditioned" or 2nd user Mitsubishi airbag be fitted. Please note; Genuine Mitsubishi Airbags are of extremely high quality and are exceptionally reliable.